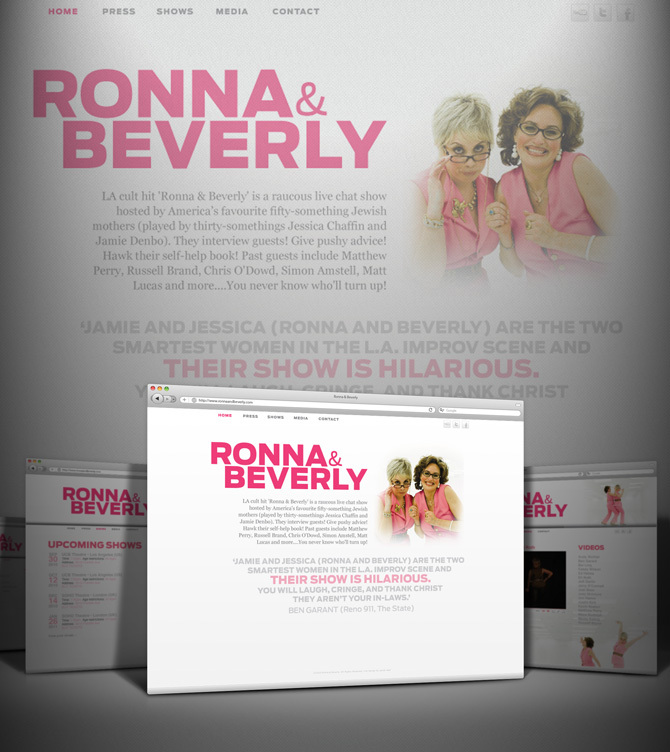 Website for comedy duo Ronna and Beverly. Ronna and Beverly are the hosts of a monthly live show and podcast based out of the UCB Theatre in Los Angeles. They had their own pilot on Showtime directed by Paul Fieg and are currently filming their new comedy series for BBC in London.